MOSCOW, May 28. /TASS/. Moscow is prepared to respond to the expanding NATO infrastructure towards Russia’s borders, Kremlin Spokesman Dmitry Peskov said commenting on Warsaw’s plans to build a US base in Poland. 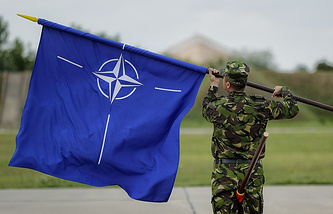 "In general, when we record gradual expansion of NATO military structure towards our borders, when NATO infrastructure directly approaches our borders, this certainly does not contribute to security and stability on the continent in any way," Peskov said. "On the contrary, these expansionist steps, certainly, result in counteractions of the Russian side to balance the parity which is violated every time this way," he noted. The creation of the US military base in Poland is a sovereign decision, but the consequences for the entire security on the continent are evident, Peskov said. Politico wrote earlier citing Poland’s Defense Ministry that Warsaw has agreed to earmark up to $2bln in state funds to finance the establishment of a US permanent military base on the country’s territory. 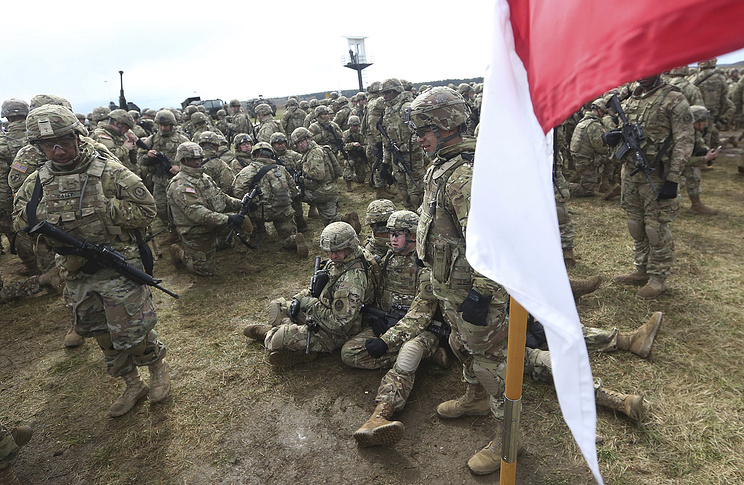 As part of the Atlantic Resolve operation, a US armored brigade consisting of some 3,500 troops was deployed to Poland on a rotation basis. They have 400 track vehicles, 900 military vehicles, including 87 Abrams tanks and 18 Paladin 155mm self-propelled howitzers.